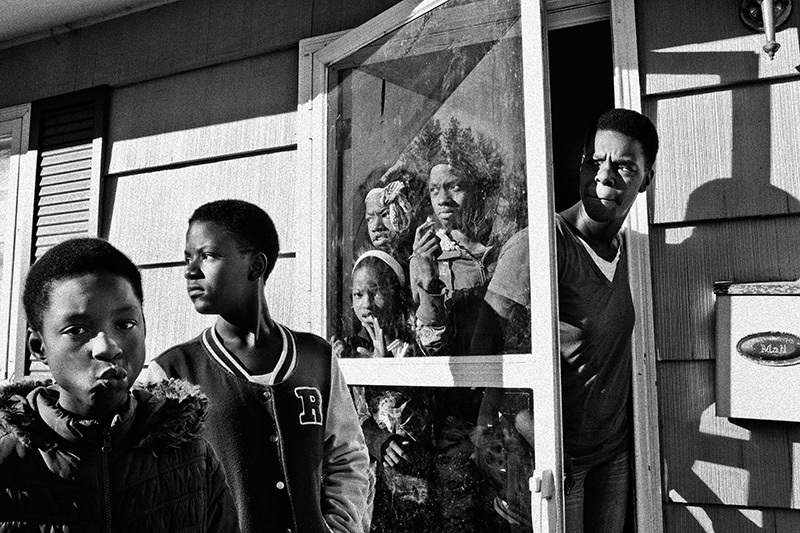 Valerie Hopkins, Nija Chatman, Lana Chatman, Shirley Chatman, Jessica Chatman, and Lashanda Chatman (right to left) look out their front door as a police car passes by their Ferguson, Missouri home the day after riots broke out throughout the St. Louis area following the announcement that a St. Louis County grand jury has decided to not indict Ferguson police officer Darren Wilson with the killing of Michael Brown, an unarmed African-American teenager. As news spread through the community, grief-stricken residents and angry protesters filled the streets. Protests once again escalated to violent clashes with police and the widespread destruction and looting of property.